After Texas Bluebonnets bloom in March and April, you’ll find lavender farms and fields bursting into bloom throughout the Texas Hill Country from May to July. There are Lavender Festivals in May in Fredericksburg and in June in Blanco, the “Lavender Capital” of Texas. From Fredericksburg and Johnson City to Blanco and Wimberly, many varieties of lavender thrive in the Hill Country’s alkaline soil and relatively dry climate. Throughout the year, lavender farms offer wide a variety of products made from the aromatic green leaves and purple flowers. Artisan-crafted items include cosmetics, salts, oils, and culinary uses like Herbes de Provence, lavender honey, tea, and margaritas. 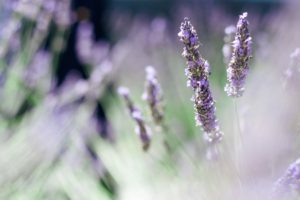 Just a 20 minute drive east from Wine Country Cottages in Fredericksburg, Becker Vineyards celebrates its fields of Spanish Stoechas Lavender with a Lavender Festival each May. Their Celebration of All Things Lavender will be May 4 – 5, 2019. The festival includes cooking demonstrations, lavender presentations, artisan vendors, live music, and wine tasting. Lavender Luncheons will be served by reservation on both days. 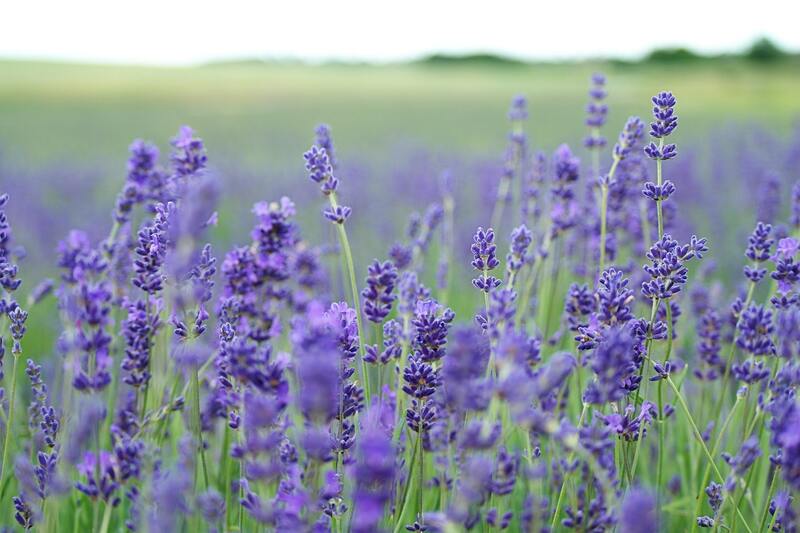 All of Blanco celebrates lavender this festival weekend in June. The celebration includes expert speakers, a Lavender Market, visits to a nearby lavender farms, and lavender-inspired menu items at local restaurants. At the Speaker’s Pavilion on the Courthouse grounds, presentations will include topics such as lavender’s history and medicinal properties, its uses in cuisine and aromatherapy, growing lavender successfully, its use in landscaping, and more. The Lavender Market will feature many lavender-related products from selected artisan vendors as well as works by artists from across the Hill Country. There will be live music in nearby Bindseil Park s well. Hill Country Lavender and Wimberly Lavender Farm both participate in the Blanco Lavender Festival. Hill Country Lavender, the first commercial lavender farm in Texas, invites visitors to see their property north of Blanco. Hill Country Lavender produces more than 75 lavender products that are hand-crafted at the Farm and by local artisans. These include a variety of lotions, sprays, soaps, and shampoos, plus many culinary items. Their website includes recipes for Lavender Lemonade, Lavender-Lemon Tea Cookies, and a Lavender Lemon Cocktail. (Note: the Farm is closed until mid-May). In addition to the Lavender Farms participating in the Lavender Festivals, Hill Country Outdoor Guide has a list of Lavender Farms located throughout the Texas Hill Country (some are closed to the public). Triple L Farms and Trading Post is located about 9 miles south of Fredericksburg. They are open Friday – Sunday from 9:00 am – 5:00 pm. Hummingbird Farms is located west of Johnson City on U.S. 290. Rough Creek Lavender Fields in Wimberly is a working roping horse ranch and the oldest and largest lavender farm in the Wimberley Valley. Visitors are invited to walk through the fields, pick their own lavender, and browse in their shop. Lavender is known for its calming and soothing properties, so a great way to guarantee a relaxing weekend getaway is experiencing the Hill Country’s lavender fields in bloom. Imagine returning to your romantic cottage in Fredericksburg after wandering through fields of fragrant lavender, and looking forward to enjoying the Hummingbird Farms lavender amenities we provide in your bath. Perhaps you’ll relax in the rocking chairs or swing on your patio while you enjoy lavender cookies and a chilled bottle of rose from one of our Hill Country wineries. It’s a beautiful season in the Hill Country, so don’t wait to reserve your relaxing getaway! Admission: Both the Festival and Lavender Farms are free. 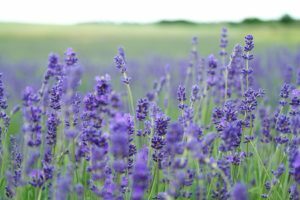 This entry was posted in Festivals, Food & drink, General, Outdoor activities, Uncategorized and tagged Becker Vineyards lavender, Blanco lavender, Lavender Farm, Lavender Festival, shopping, Texas Hill Country lavender by admin. Bookmark the permalink.